For a while this morning have been closed in the online Store Apple page. After opening, we have not only met the emotional video dedicated to Steve Jobs (today is the first anniversary of his death), but also the new iPod Touch and Nano are now available for purchase. 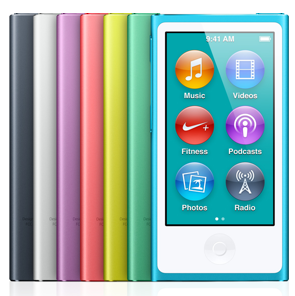 If you are interested in an iPod Nano are available with 16 GB capacity at a price of € 169.00, with VAT, taxes and shipping included. If instead you're looking for iPod Touch , available in 32 and 64 GB capacities, prices of 319.00 and € 429.00 respectively, also with the VAT, taxes and shipping included in the price. Finally, it only remains to choose the color. Which do you prefer?